Google’s old hiring plan: Go to the toughest schools, find the smartest people, give them the hardest tests. Hire the ones who perform the best. Google’s new talent acquisition process: Uncover the hidden qualities of the current highest-performing employees. Then, select candidates who replicate those same qualities, ensuring a cultural fit as well as a continuation of pre-established successes. We wanted to dive a little deeper, so we asked Juan Betancourt how to avoid Google’s hiring mistakes, and instead hire faster, smarter, and stronger-fit candidates. 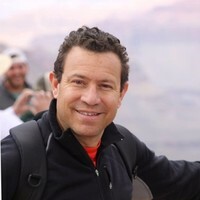 Juan is the CEO of Humantelligence, a company that measures team culture through science. Their 12-minute EQ test allows leading organizations to uncover hidden culture fit, overall eliminating 80-90% of labor in hiring, resulting in their customers finding the highest-performing candidates. Obviously, we had to have him on our Digital Transformation Pioneers podcast. As Google learned, intelligence is not the most accurate predictor of whether a candidate will be a high-performer. When Google hired their first HR manager, they took an inventory of their best employees. They discovered that emotional intelligence was the leading indicator of high-performance. This methodology of discovery is exactly what Juan says you should do — reverse engineer from your highest performers. One piece of advice here: One company doesn’t mean one culture. Cultures vary across companies. The finance department has their own culture, which will be widely different than the culture of sales, marketing, HR, etc. Geography also plays a huge piece in cultural makeup: What leads to high performance in Miami versus Philly will vary dramatically. People intuitively understand these elements, but the Humantelligence test proves it empirically. Talent acquisition is a laborious process. At the highest level, hiring executives requires scrutiny of long, intense CVs, along with several layers of interviews. In retail, you are often choosing between hundreds of candidates who probably have no resume. The interviewer is left to hire based on subjective likes and dislikes. No matter how skilled an interviewer is, this process does not always lead to the best outcome — it’s very subjective, and people typically hire those who are similar to themselves as far as personality and work style. This is often not the best candidate for the position. A sophisticated AI (like Humantelligence) will eliminate these subjective issues. This also erases 80 to 90% of the entire hiring process, and then leads to far less turnover, and overall, a happier culture. Next time you’re hiring, remember the EQ, not the IQ, makes the most difference. This post is based on a Digital Transformation Pioneers podcast with Juan Betancourt. Hear more from other Digital Transformation Pioneers. If you don’t use iTunes, check out all podcast episodes here.